December is one of two months (June is the other) where all of the major and not-so-major auction houses hold their Design sales. 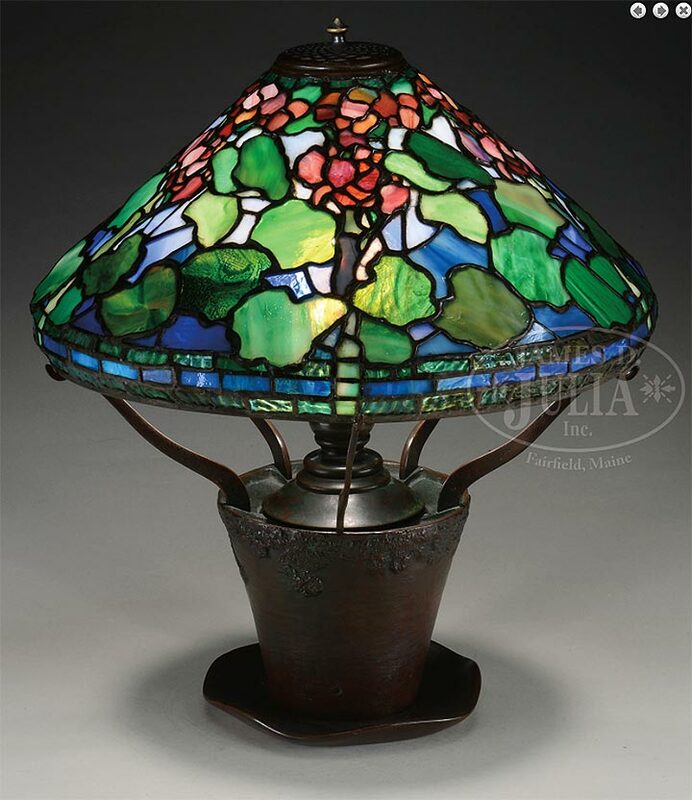 Tiffany Studios’ lamps, glass and other objects are included in this wide category, which dates from the late 19th Century to the early 21st Century. 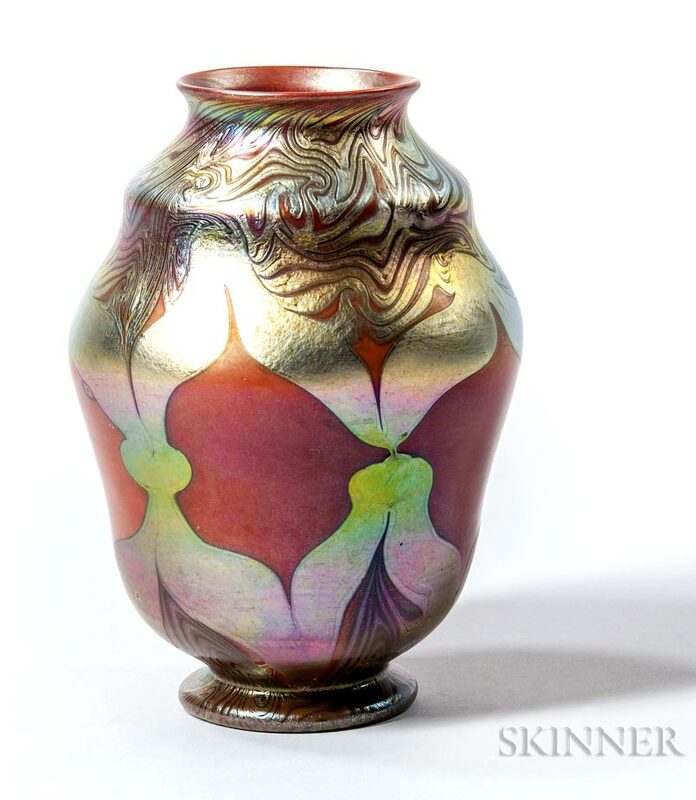 The recent results are all in and the conclusion is that Tiffany Studios’ items are having a banner year, especially lamps and enamel on copper items. 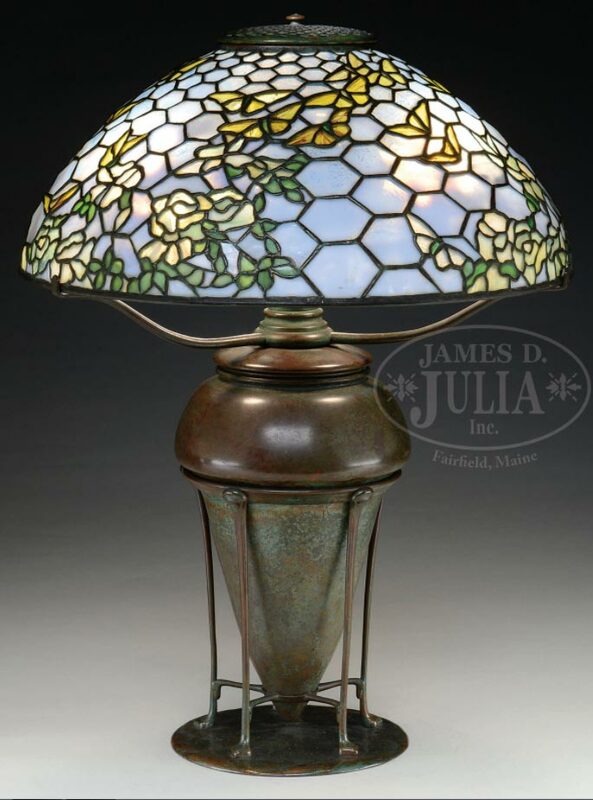 Julia’s started the season with a December 1, 2017 Rare Lamps, Glass & Fine Jewelry sale. 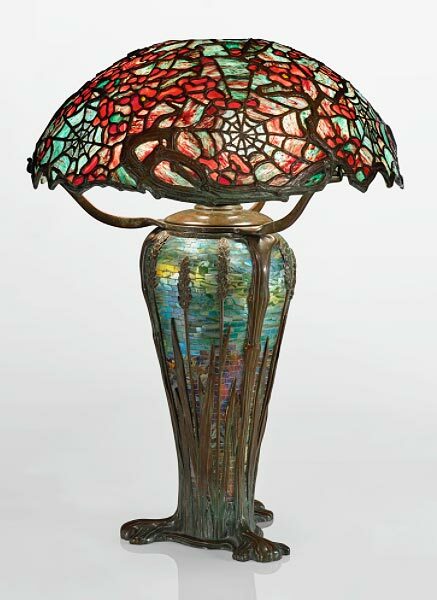 16 of the 17 highest priced lots were lamps by Tiffany Studios. Three lamps, including a Geranium, sold for the same $84,700 price. Sotheby’s followed on December 13, 2017, with not one, but two Tiffany sales on the same day. You might think all this Tiffany might flood the market, but it didn’t. Very few objects failed to sell. Five lamps sold over $500,000, while two lamps sold for approximately $1,000,000. 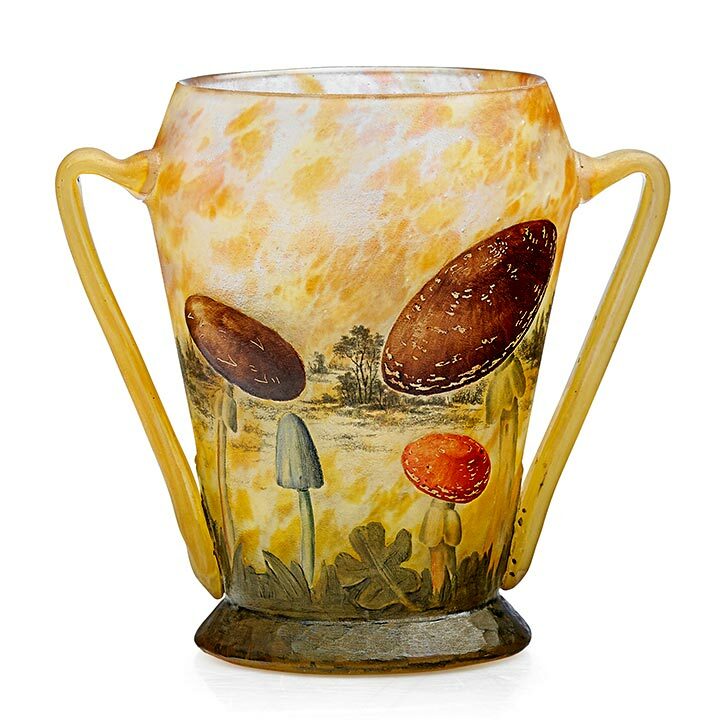 Christie’s followed the next day with a Design sale that included a wonderful collection of Tiffany enamel on copper items, which all sold well over their high estimates. 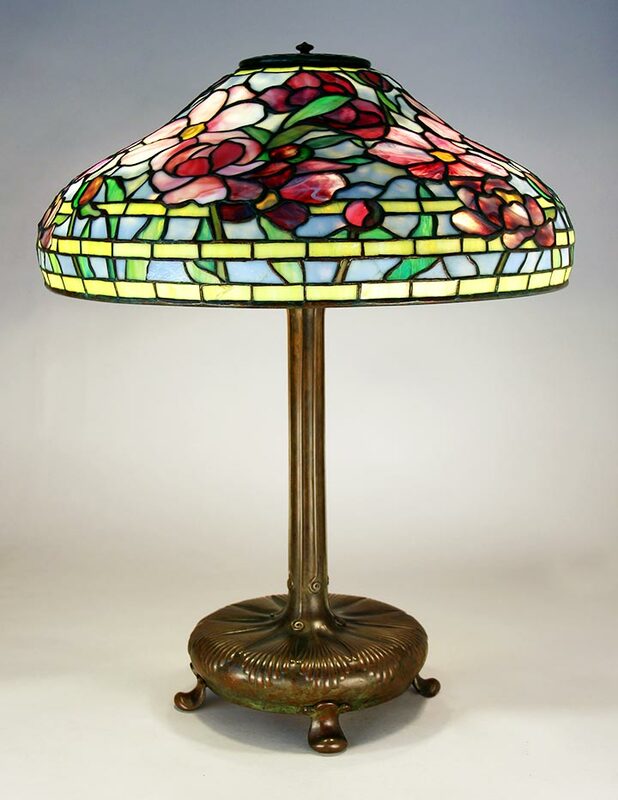 The lamps also did well, with three selling for nearly $500,000 and one for nearly $1,000,000. 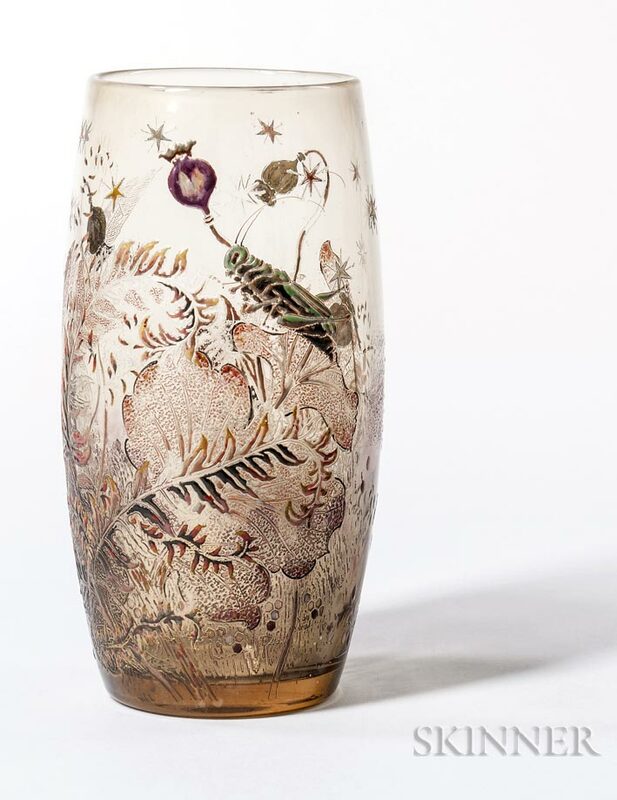 Bonham’s New York held their Modern Decorative Art + Design sale on the same day as Christie’s (not a good move). 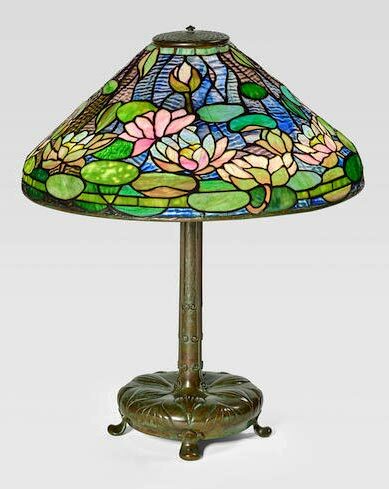 They didn’t have a strong selection of Tiffany items except for lot #20, a Pond Lily table lamp that sold for $143,750. Rago held an Early 20th Century Design sale this past Saturday, January 20, 2018. 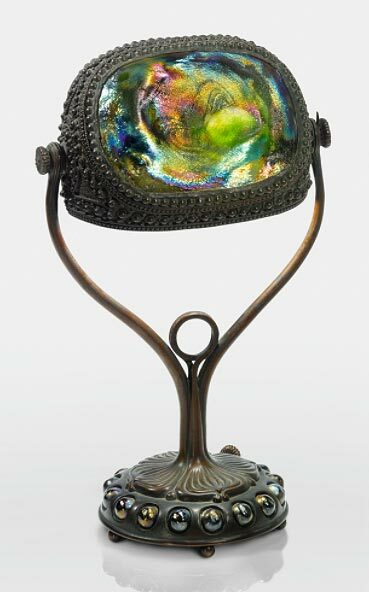 His selection of Tiffany Studios’ items didn’t include many rarities, but one enamel on copper tray sold for double its high estimate of $15,000. So what’s going on? The simple answer is new (wealthy) blood. There is nothing better for a market than new players. Personally I have no idea who these people are, American or foreign, but I welcome their presence. I hope this recent enthusiasm translates to sales at the upcoming shows in Miami. Tune in for my posts. The first Miami show opens 11 days from now. The Miami Airport Show opens to the public on February 2, 2018. I will have a very strong display, as I’ve been buying up a storm since my last show in the Chicago suburbs. The top lot of the sale was #313, a 22″ diameter Dragonfly floor lamp in beautiful shades of blue. It sold over its high estimate of $500,000, realizing $675,000, including buyer’s premium. 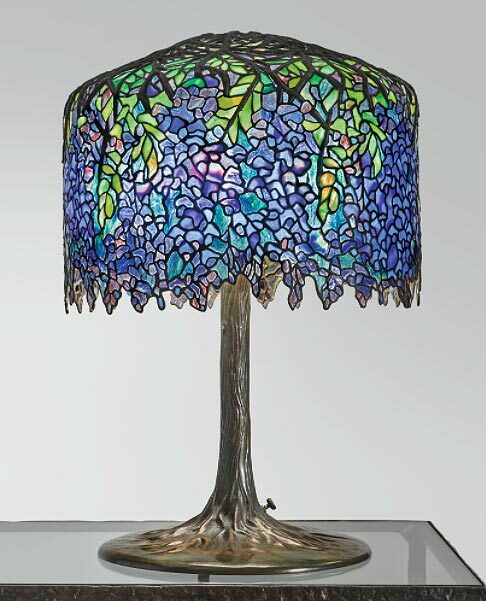 It was one of five lamps selling over $500,000. 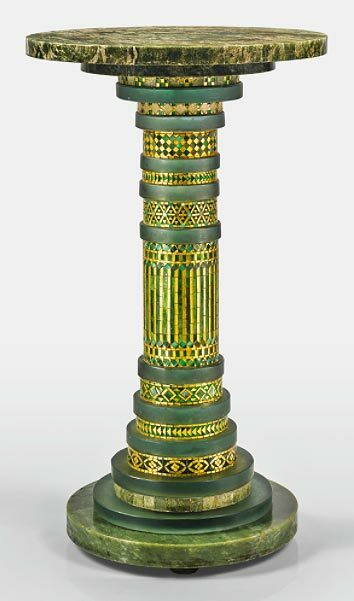 A rare mosaic tile pedestal from the home of Ralph Linder Pope, Brookline, Mass., sold for triple its high estimate of $120,000, realizing $399,000, including buyer’s premium. To give you an idea of how strong the sale was, take a look at lot #317. It was a standard Tiffany Turtleback swivel desk lamp that sells at auction after auction in the $10,000 – $15,000 price range. It isn’t rare, but it sold for the ridiculous price of $37,500, against a pre-sale estimate of $8,000 — $12,000. The sale was quite special, so I’m a happy camper. I do a big business in Tiffany lamps, glass and desk sets, so a strong market is a good market. 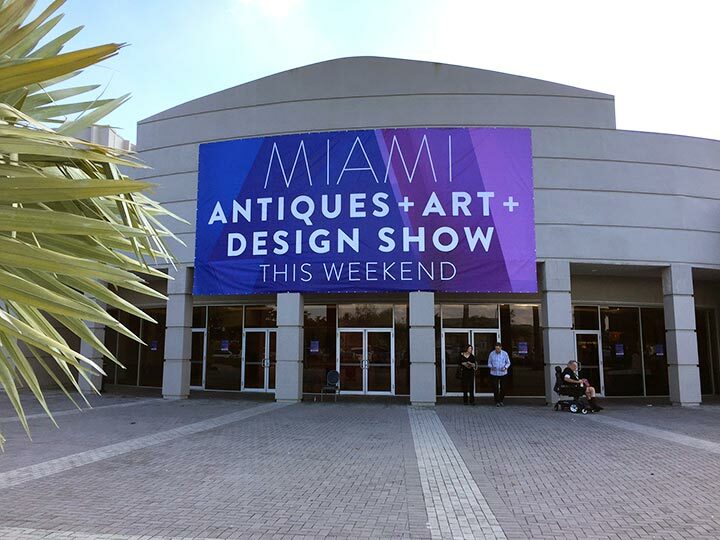 The Miami shows are only three weeks away, with the first on February 2, 2018, when we’ll exhibit at the Miami Airport show. I’ve been beating the bushes finding new treasures and have come up with some beauties. I just listed over 18 new items on my website and will list more every week. Click Philip Chasen Antiques to take a look. Sheila Gibson Stoodley approached me for an article she was writing for the November, 2017, issue of Art & Antiques Magazine. I was glad to help with discussions and photographs. Click here to read it. I think you’ll enjoy it. 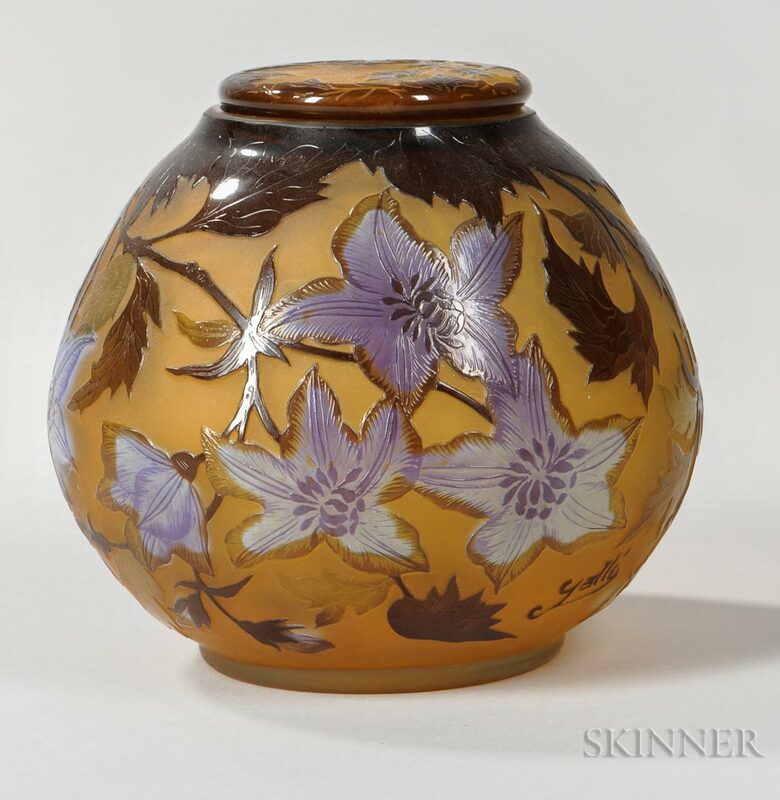 Then if you’re inspired, click Chasen Antiques’ Daum vases to view some of the Daum Nancy selection I have for sale. 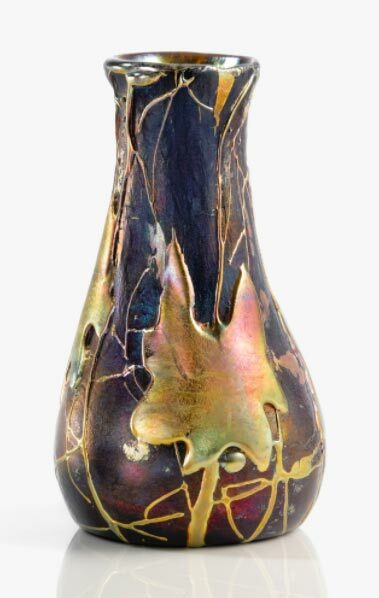 Thursday’s post will be about the very strong sale of Tiffany Studios lamps and objects at Sotheby’s New York. You won’t want to miss it. 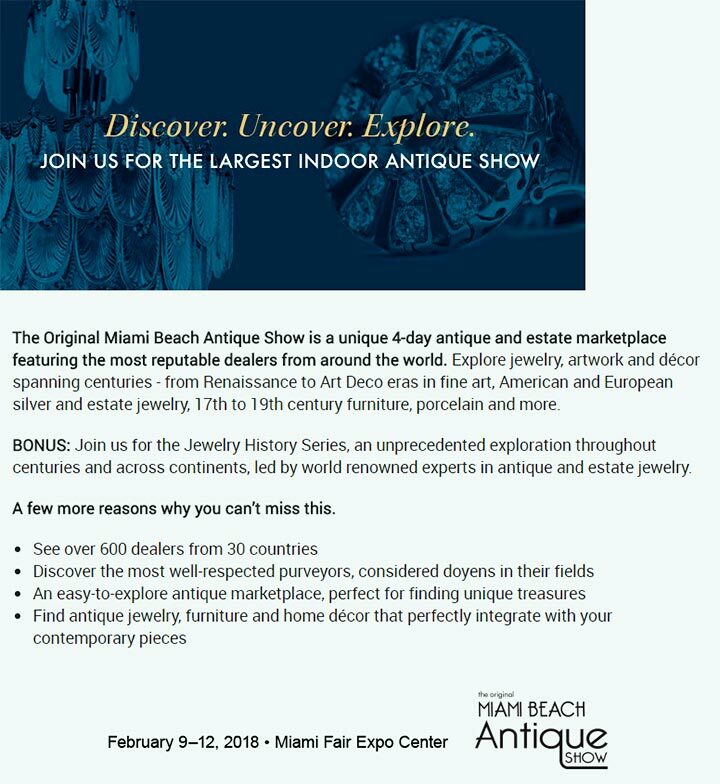 No more shows until February 2, 2018, when we’ll exhibit at the Miami Airport show. I’ve been beating the bushes finding new treasures and have come up with some beauties. I just listed over 18 new items on my website and will list more every week. Click Philip Chasen Antiques to take a look. Christie’s New York, held its Design sale on December 14, 2017, with total sales of $6,756,750. 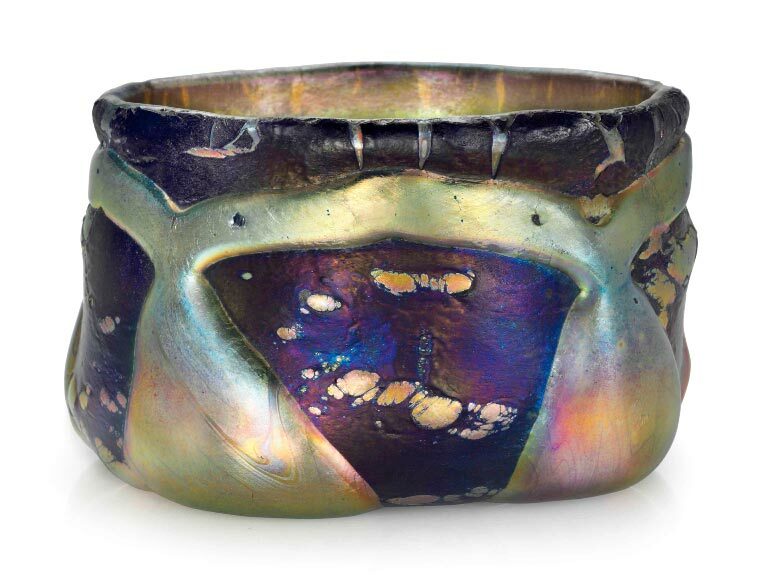 Of the 69 lots offered for sale, 33 were made by Tiffany Studios. The results were strong, which seems to coincide with a general strengthening of the Tiffany market, as evidenced at several recent auctions. 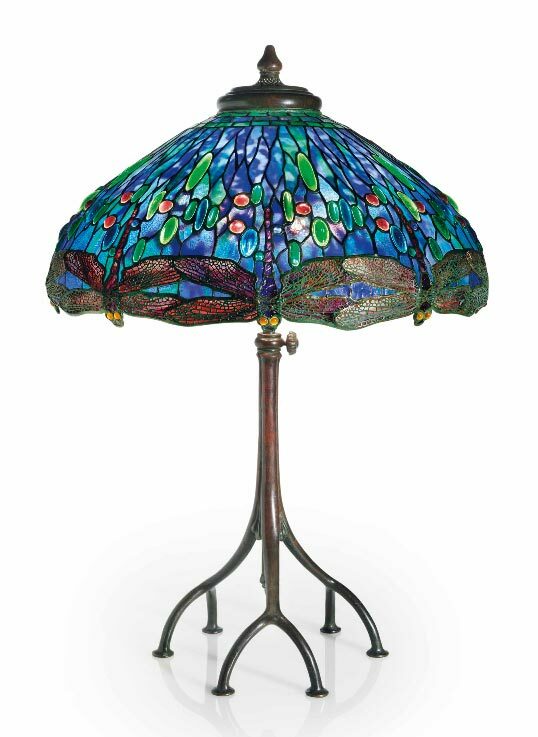 The top lot of all the Tiffany Studios’ items was #28, a rare floor lamp in the Gourd pattern. It sold near its high estimate of $800,000, realizing $948,500, including buyer’s premium. 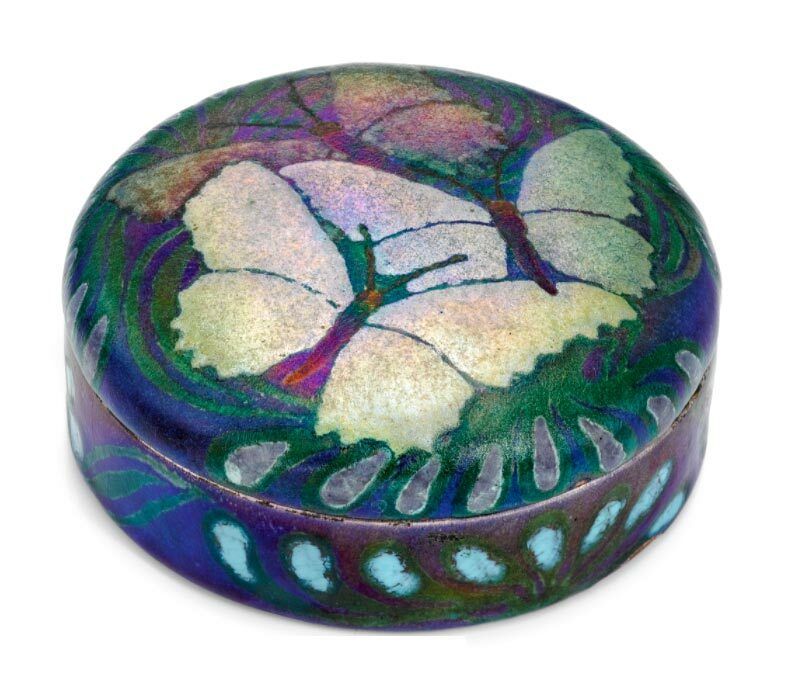 Tiffany Studios enamel on copper items are quite rare and desirable. This sale included a wonderful selection of nine enamels from the collection of Dr. Alan Feld. The results were very strong, with lot #9 doing best. 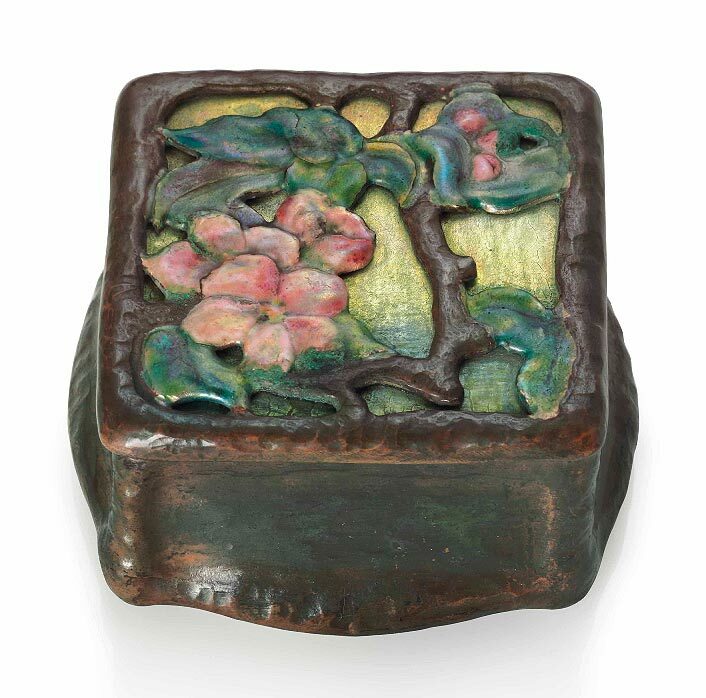 It was a beautiful Apple Blossom box, estimated to sell for $10,000 – $15,000. It soared to $106,250, including buyer’s premium. 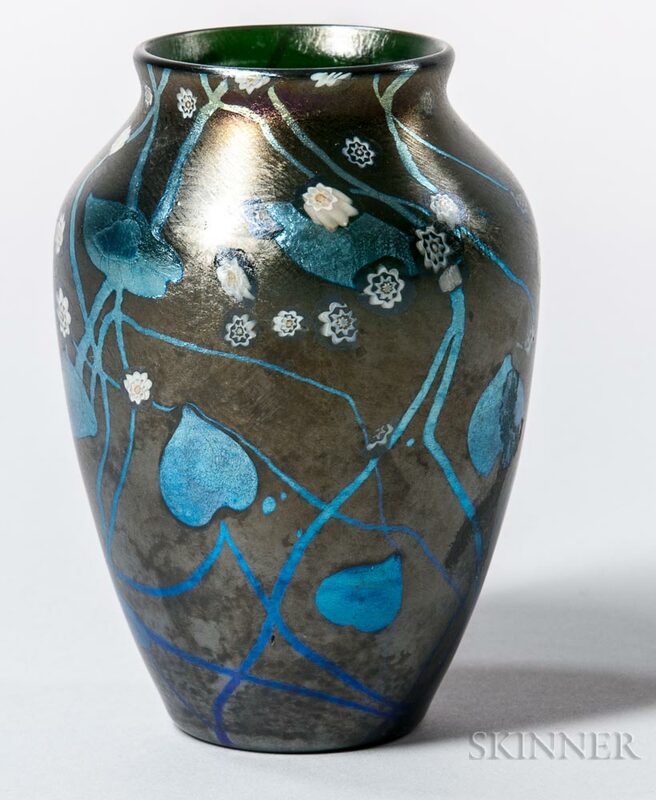 Tiffany Favrile glass was underrepresented in the sale with only three lots, but lot #13 was a good one, a rare Lava glass vase. It sold for approximately double its pre-sale estimate of $25,000 – $35,000, realizing $68,750, including buyer’s premium. The strength of the Tiffany market will be the subject of an upcoming post. Be sure to follow my blog.